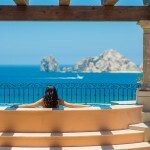 The reputable timeshare developer The Villa Group Resorts is the parent company of the Villa del Palmar Beach and spa resorts in Mexico. In terms of complaints and problems, the group’s reputation is exemplary and over 25 years in the business is firm proof of its commitment to success. Dealing with complaints in a fair and efficient manner is important to The Villa Group Timeshare as its good name depends on the group’s honesty and openness within an industry that receives a lot of bad press. Its directors and managers are keen to safeguard the high standing of the company and take complaints very seriously, especially if they involve their staff members or any misleading information. However, complaints are part of the landscape of any business regardless of how hard a company tries to keep all its customers happy. Therefore, in the event of a complaint or problem, The Villa Group’s policy is to deal with the situation as quickly as possible to keep any dissatisfaction to a minimum. Firstly, make your problem clear to the person you are dealing with and take the name of the staff member. The Villa Group timeshare staff are required to be open about the complaints procedure and to discussing any suggestions or issues. If your problem is not resolved by the person you are dealing with, request to see a manager. In some cases you may need to speak to someone with a higher rank to deal with your dissatisfaction. In the instance that your issue has not received a solution while you are still in Mexico, the optimum methods to contact The Villa Group Timeshare division are by email and telephone, using registered post when sending documents or letters. Using a forum to generate a response to a complaint is not recommended as your case needs to be dealt with directly by The Villa Group timeshare staff. Often the complaints you see in blogs and forums are extreme cases where the proper channels have not been used. A high percentage of The Villa Group timeshare complaints are resolved in a short amount of time and with the least amount of discomfort to clients. Share the post "Complaint Solutions The Villa Group Timeshare"